Este mes Descarga Gratis 4 novelas completas en inglés de Julio Verne, que podrás leer en tu PC, en tu ebook reader o imprimirlas si lo deseas. - Miguel Strogoff, The Mysterious Island, The Master of The World y The Waif of The Cynthia. - Un forma amena y entretenida de aprender inglés disfrutando con algunas de las mejores novelas de aventuras de todos los tiempos. Haz click para descargarlas. - Quiz del día de San Valentín. - "BBC - Walk on the Wild", divertido vídeo en el que encontrarás también la trascripción de los diálogos. - Actividades de comprensión basadas en la canción Tom's Diner de Suzanne Vega. ¡SOMOS MÁS DE 10.000 FANS! - En Nuestro canal de Facebook para aprender inglés seguimos relacionándonos directamente con vosotros resolviendo vuestras dudas, incorporando ideas y direcciones útiles y otorgando premios a los ganadores de los distintos concursos que realizamos. Únete a nuestro grupo que cuenta ya con más de 10.000 fans. Síguenos en Twitter "Al minuto". Más de 700 amigos se han apuntado ya a seguir al instante nuestros twitters de La Mansión del Inglés. Elige la categoría que describe los siguientes grupos de palabras. 1. - ? - From who Whose Who's is this iPod? 2. His sister - ? - is has she 23 years old. 3. - ? - Whose Why Who is that woman? 4. Tennis is more popular - ? - from than to handball. 5. Have you - ? - gone never ever been to Italy?. 6. Pepito hates - ? - going go for to go to the beach. 7. - ? - Do does did your parents usually go on holiday in August? 8. - ? - When What Who did you do last night? I went out to a restaurant with my wife. 9. I’m a vegetarian. I don’t want - ? - a none any meat. 10. What - ? - do would have you like to drink? Choose the best adjective to describe the events. 1. The play was very long, slow and uninteresting. The plot was so - ? - boring amusing satisfying annoying depressing relaxing enchanting terrifying disgusting moving . 2. The spa and the massage took away all my stress. The health resort was very - ? - boring amusing satisfying annoying depressing relaxing enchanting terrifying disgusting moving . 3. I had a very good meal. It was totally - ? - boring amusing satisfying annoying depressing relaxing enchanting terrifying disgusting moving . 4. I was very angry when they didn’t give me a refund. It was very - ? - boring amusing satisfying annoying depressing relaxing enchanting terrifying disgusting moving . 5. The music was very beautiful and made me feel magical. It was so - ? - boring amusing satisfying annoying depressing relaxing enchanting terrifying disgusting moving . 6. Her flat was dirty and hadn’t been cleaned for months. The kitchen was absolutely - ? - boring amusing satisfying annoying depressing relaxing enchanting terrifying disgusting moving . 7. The book was very funny and made me laugh. It was really - ? - boring amusing satisfying annoying depressing relaxing enchanting terrifying disgusting moving . 8. The news was very bad and I felt extremely unhappy. The death of a close friend is so - ? - boring amusing satisfying annoying depressing relaxing enchanting terrifying disgusting moving . 9. I cried at the end of the film when the girl and her father were killed. The story was so - ? - boring amusing satisfying annoying depressing relaxing enchanting terrifying disgusting moving . 10. Your story about you being attacked and robbed at gunpoint made me feel really frightened. The experience sounds absolutely - ? - boring amusing satisfying annoying depressing relaxing enchanting terrifying disgusting moving . Now read the sentences again and write how you might have felt in each of the above situations. 1. I felt really bored. 2. I felt completely . 3. I was very . 4. I felt so . 5. I was by the music. 6. I was by the condition the kitchen was in. 7. I was really by it. 8. I felt very . 9. I was actually quite . 10. I was absolutely by what happened to you. 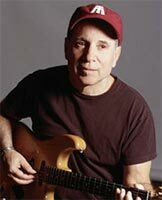 The words in bold (negrita) in the following song by Paul Simon are not correct. Listen to the song and write the correct words at the end of each line. Listen to the song again and use the help box for difficult vocabulary. 1. I went to the optician to have my glasses - ? - fit fitted fitted on . 2. Do we have - ? - plentiful plenty enough money to last us until the end of the month? 3. I’ve always wanted - ? - to begin to take up to start up scuba diving. 4. It - ? - makes no difference is indifferent is not a difference to me whether we go out tonight or not. 5. We saw - ? - quite much quite a few quite many quite some wild animals when we went to Kenya. 6. He’s late as usual. I don't think we should - ? - await for wait for wait on him. 7. Are you - ? - going entering go to enter for going in for the competition? 8. They will be - ? - present presents at present at the party. 9. I was very anxious - ? - learn more to more learn to learn more about making podcasts. 10. All employees must - ? - attend attend to attend in the annual staff meeting tomorrow. Read the following poem that has passed through my extremely bad spell check software and rewrite the poem in correct English. 1) Which phrase means 'lose your job'? 2) Which letter ending best goes with the opening 'Dear Personnel Director,'? Not too bad, but my back has been playing up again. 4) Which phrase is incorrect? I picked up him at the airport. I picked him up at the airport. I picked up Ken at the airport. I met Ken at the airport. My connection is not good. Your extension is too long. This is not good cocaine. 8) Which series is correct when making a presentation? For to open, later, later, for to close. 10) Which phase should a person making a presentation use? No, you're wrong. Why aren’t you listening? Seguro que te suena la frasecita. Es una de las más extendidas de nuestro amigo el idioma inglés. La diferenciación que se realiza de los sustantivos en base a su función como "contables" (es decir, que se pueden contar) e "incontables" (que no pueden contarse). Clasificamos en el grupo de contables todos los nombres que forman elementos individuales por sí mismos y que pueden formar grupos con otros elementos del mismo tipo y por tanto ser enumerados. Como lo mejor es el ejemplo, vamos con ello. ¡Ojo!. Decimos que es incontable la sal, pero no así un paquete de sal. Decimos que es incontable el hierro, pero no así una viga de hierro. Decimos que es incontable la leche, pero no así una botella de leche. Descarga este mes el Capítulo 10 de Alicia en el País de las Maravillas en INGLÉS Y ESPAÑOL y en formato PDF para que lo puedas leer directamente en tu PC o en tu ebook-reader e imprimirlo si así lo deseas. Capítulo 10: El baile de la langosta. La Falsa Tortuga canta una canción sobre un baile de langostas en el fondo del mar. Alicia, por su parte, narra sus aventuras desde que cayó por la madriguera del Conejo Blanco. Walking 20 minutes a day can add to your life. You can spend an additional 5 months in a nursing home at 4000 euros per month. five kilometres a day when he was 60. Especially when they are taken by people who annoy me. I have to walk very early in the morning. Before my brain works out what I'm doing. I do have flabby thighs. Y tres versiones de un mismo tema. Este mes incorporamos un tema subtitulado más de la famosa Lady Gaga y tres versiones "diferentes"
de su conocido "Bad Romance"
- As we look ahead - ? - at over into the next century, leaders will be those who empower others. - Be nice to nerds. Chances are you'll end up - ? - working to work worked for one. - If you can't - ? - made make constructed it good, at least make it look good. - If you think your teacher is tough, wait - ? - into until but you get a boss. He doesn't have tenure. - Your most unhappy customers are your - ? - good better greatest source of learning. - nerd = alguien poco atractivo, impopular y torpe socialmente.